Have you seen this Huffington Post piece? I did. Along with many, many other moms and I can tell you that we all agree. (At least those moms with young kids do.) We don't want to be schlepped out to brunch. We would be much happier hanging out in our pajamas and slippers, free from any responsibilities, relaxing guilt-free. 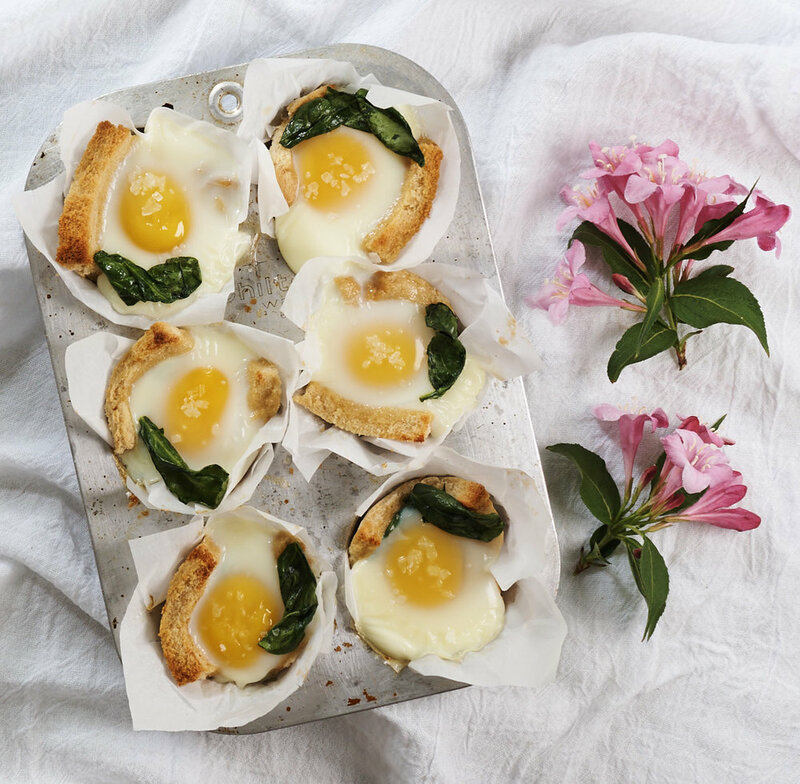 If you want to make mom really happy, why don't you go ahead and make these egg and toast tartlets. You can then serve them, clean up the dishes, leave a nice box of chocolates, take the kids, and leave the house for a few hours while mom kicks back on the couch eating bonbons in peace. She'll love you so much more for it. Press a five inch square of parchment into muffin cups and spray with oil. Cut crusts off slices of bread, flatten with a rolling pin, and press into the parchment, spray with oil. Bake bread in the oven for about 5 minutes. Heat the butter in a pan and cook spinach until wilted. Place cooked spinach and a sprinkling of salt and pepper in each cup. Crack on egg into each. 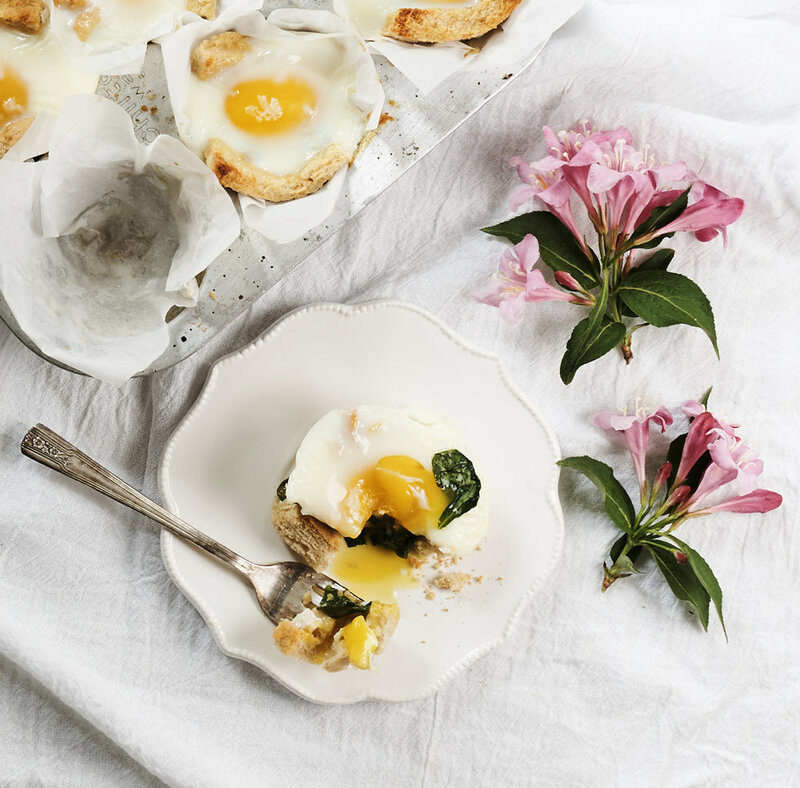 Place in the oven again and bake for about 20 minutes or until whites are solid and yolks are still a bit runny.